Minimal and statement pieces made for easy wearing. But it took a little time to reach that next step. After working as a speech pathologist for five years, she left her day job to enrol in an Advanced Diploma of Fashion Design at TAFE. She launched Autark in 2016. 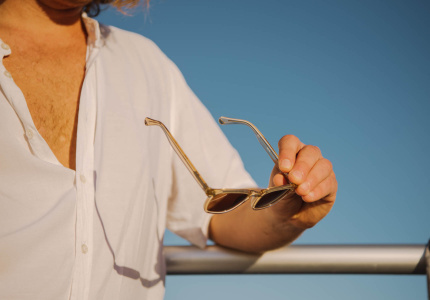 The decision was fuelled by a gap in the market: crossover between ethical, sustainable fashion, and clothes that are constructed with attention to detail in design. 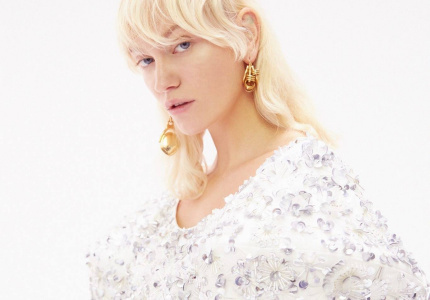 “It’s about finding that sweet spot in between something being really interesting and fashion-forward and feeling classic and not trend-based,” she says. Her designs have caught the attention of Adelaide Fashion Festival, gracing the runway in 2016 and 2017. 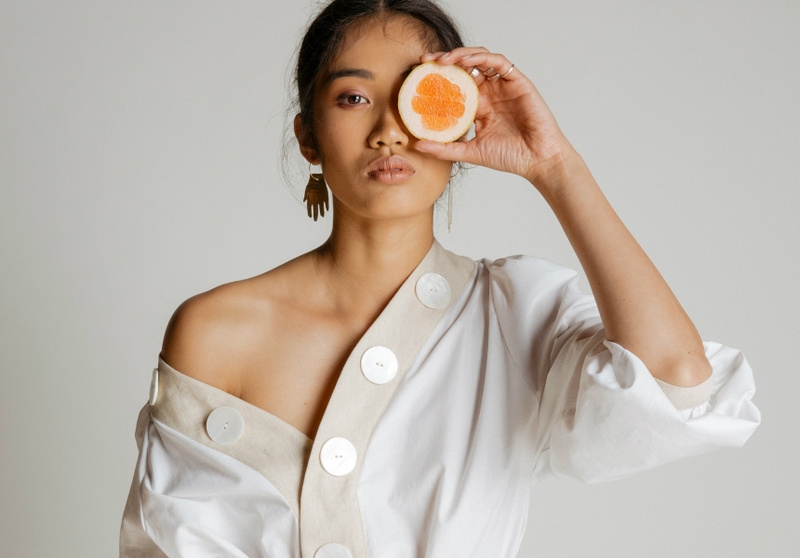 Last month, McMahon was the only Adelaide designer with a pop-up shop at the Virgin Australia Melbourne Fashion Festival (VAMFF), thanks to Australian Fashion Council’s Curated program. Simple, basic pieces are the foundation of Autark’s range. 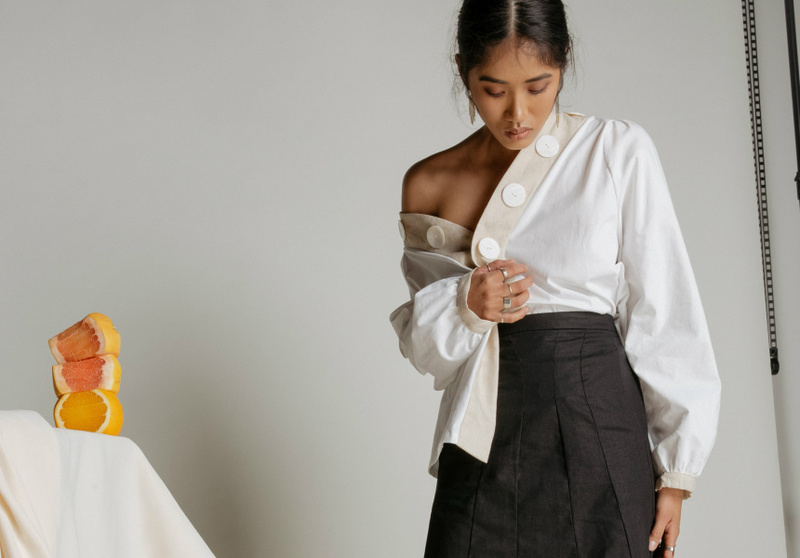 An elegant pair of neutral, wide-leg trousers is strung with oversized shell buttons; a classic white shirt is updated with neck-line box pleats. Some pieces make a statement, like an emerald silk shirt or luxe red velvet skirt, but all made for easy wearing. “I love the aesthetic of something that is easy – just like you’ve thrown it on – but beautiful at the same time. McMahon is committed to the principles of slow fashion. 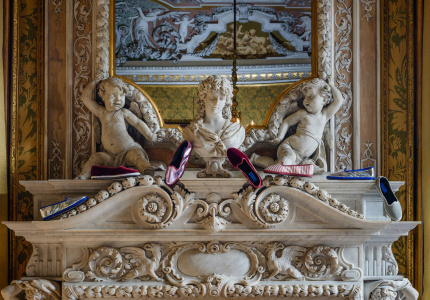 “I think that consumers are becoming a lot more conscious,” McMahon says. Shoppers “need answers” about where fabric comes and where it goes when discarded. “For me, the key issue is that at the end of the life of a piece of clothing, it [needs to] break down easily,” she says. 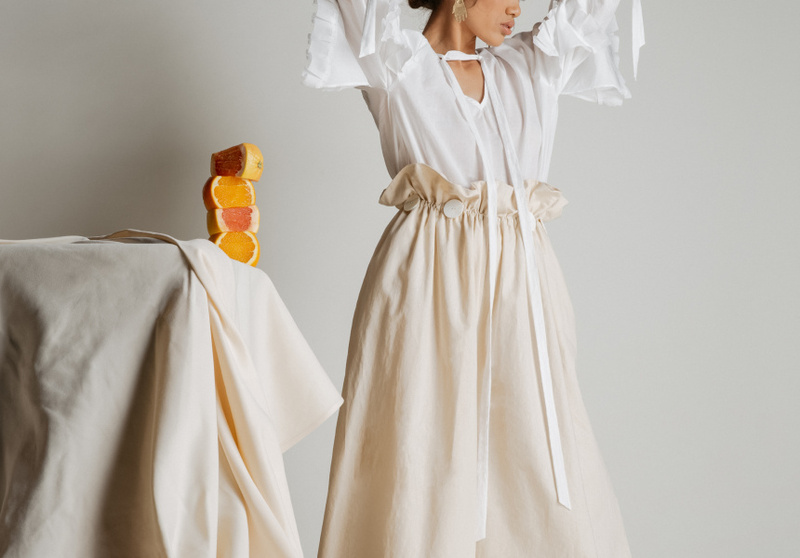 With garments made from 100 per cent natural fibres of cotton, linen and silk, McMahon can rest easy knowing that at the end of its life, that skirt or jumpsuit she created will return back to the Earth without leaving traces of synthetic microfibres.